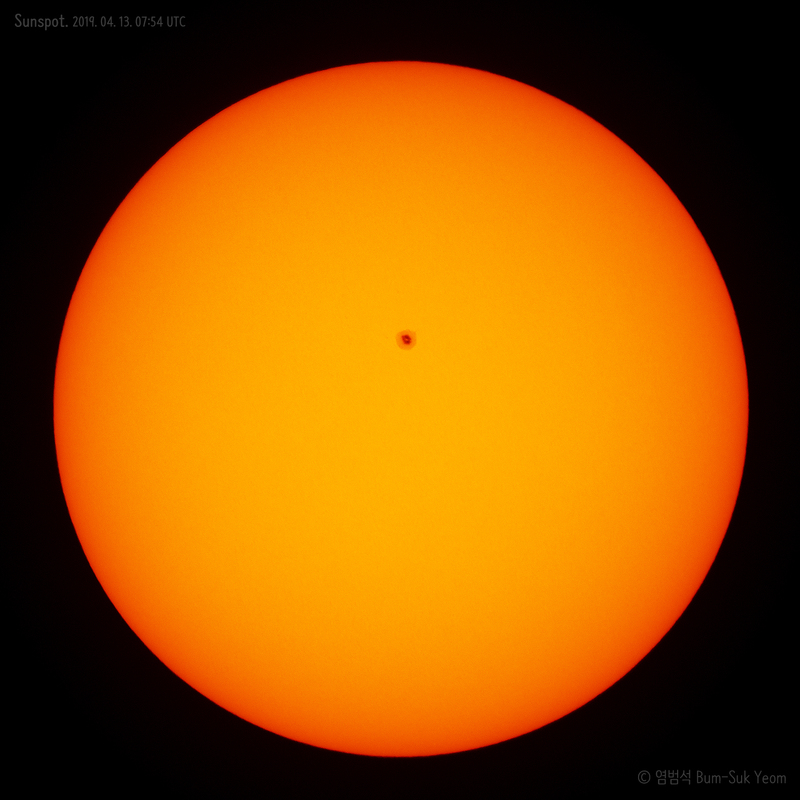 2019.03.07 A New Sunspot! 새로운 흑점 출현! A New Sunspot! 새로운 흑점 출현! 33일만에 나타난 흑점입니다. 지난 2월 한달 동안 흑점이 없었던 경우는 2008년 이후 처음이었습니다. Solar Prominence and Airplane. 2017. 11. 30. Coronado SolarMax II 90mm + Galaxy Note 8 camera. 아무래도 망원경 접안렌즈에 핸드폰을 손으로 들고 찍다보니 촬영이 쉽지 않았는데 행운이 따른 것 같습니다. 두 사진을 2초 안에 찍었네요. 갤럭시 노트 8 프로 모드로 찍었습니다. 촬영 장소: 전북 익산시 전라북도과학교육원 주관측실. Taken by Bum-Suk Yeom on November 30, 2017 UTC @ Iksan, South Korea. Details: 06:50 UTC (15:50 KST), Coronado SolarMax II 90mm, Galaxy Note 8 smartphone camera, ISO 200, f/1.7, 1/500 sec. 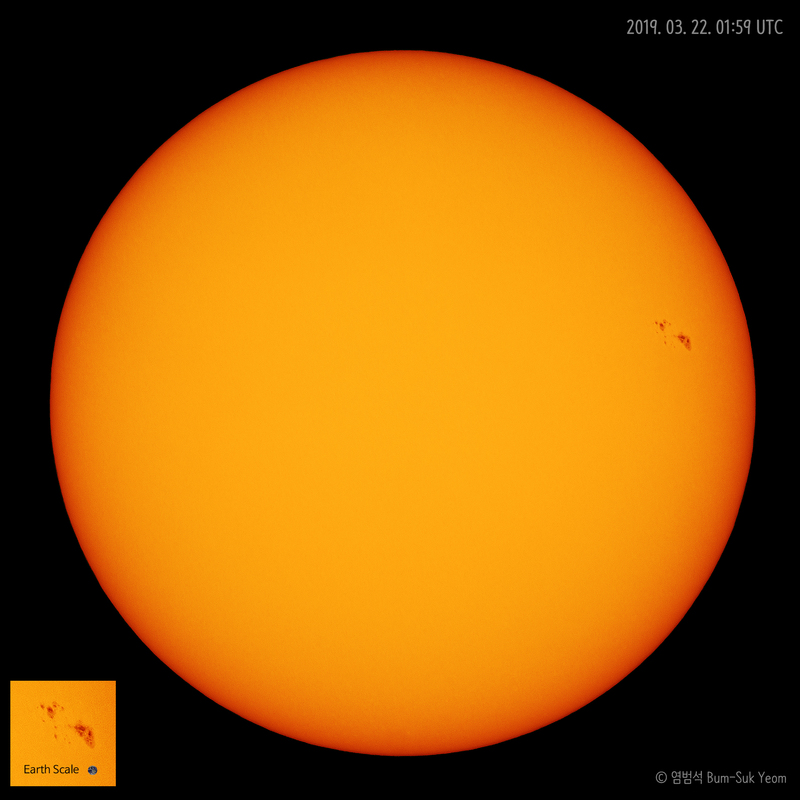 The return of the large sunspot (called AR2673). 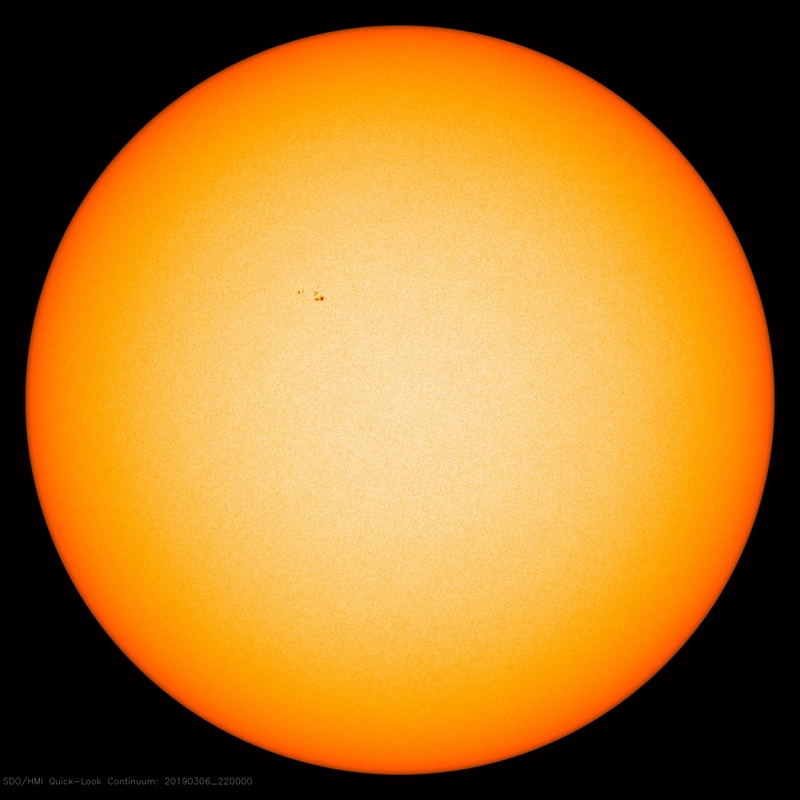 For the past two weeks, AR2673 has been transiting the backside of the sun, carried around by the sun's 27-day rotation. Courtesy of NASA/SDO and the AIA, EVE, and HMI science teams.